model, or special effects used for simulation in a studio." 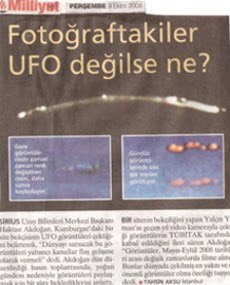 Turkey has a long and rich history of unexplained aerial phenomenon dating back centuries. 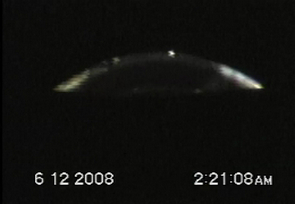 But between 2007 and 2009 in the northwest region of the country, a series of unusual events took place. 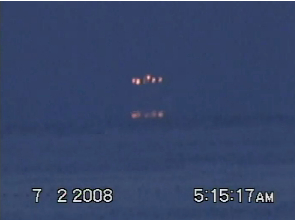 Multiple strange objects were observed over the sea and witnessed by local residents. 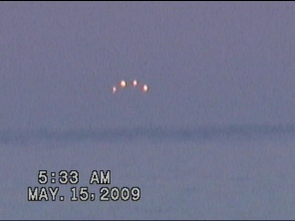 During that time an important video was taken of something unidentified hovering in the sky at the same location. 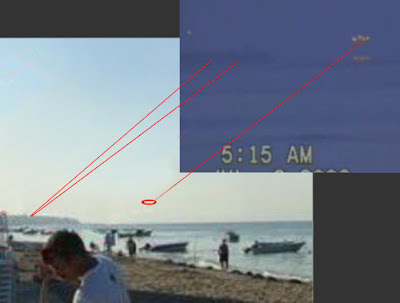 Is it possible that Yalcin Yalman was able to capture in close detail on film what people were seeing? 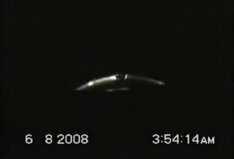 This blog is an attempt to document, as much as possible, what happened. 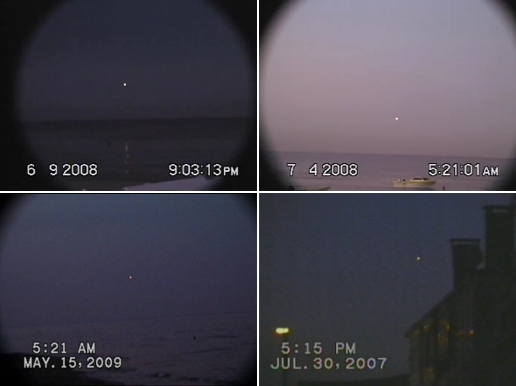 Several local residents describe observing disc and oval shaped aerial objects with a metallic appearance that maneuvered silently while sometimes accompanied by strange red and orange lights. 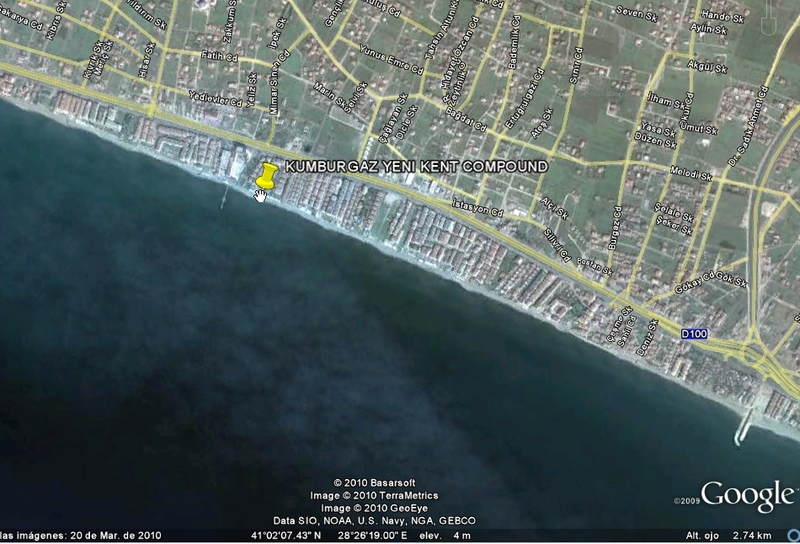 Some of the witnesses lived in the nearby housing complex while others were curious onlookers and fishermen. 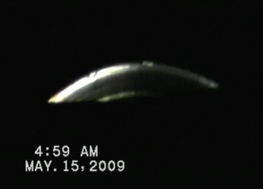 In 2009, after a UFO conference held near Istanbul, Roger Leir and 7 to 8 other people became witnesses themselves and observed a strange disc shaped object hovering in the sky under a bright moon. 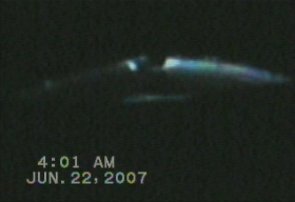 Roger Leir personally witnessed Yalcin taking video of the anomalous object in the sky and was interviewed multiple times before he passed away. Multiple anomalies were observed from the beach at a distance. 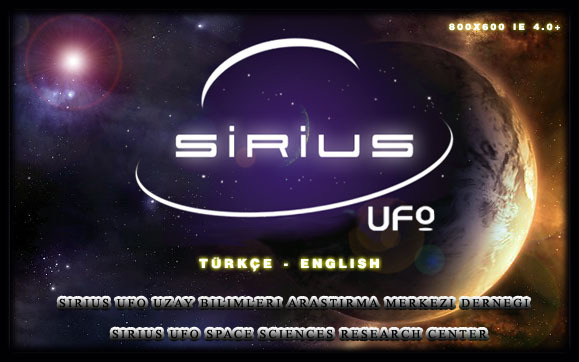 Reports were filed with the Sirius UFO and Space Science Research Group which is Turkey's primary UFO reporting organization run by Haktan Akdogan. 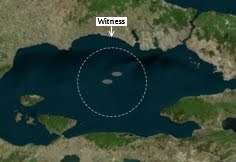 Also, the videos were analyzed by "The Scientific and Technology Research Board of Turkey" and "TUG National Observatory" which are both sponsored by the state and highly influential. They reviewed the originals with the goal of finding evidence of a forgery, but interestingly came away with results that actually supported the authenticity instead. The original film cassettes have also been studied by people from Japan, Chile, Brazil, and Russia. 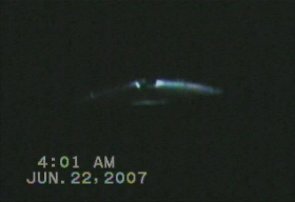 After several attempts so far nobody has been able to successfully demonstrate evidence of a hoax, fraud, or manipulation leaving the case is still unidentified. 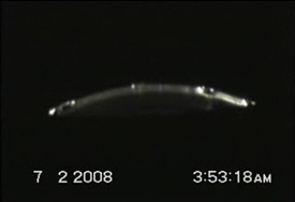 The previous year a number of sightings took place between May 22 and Sep 28 of anomalous aerial activity. 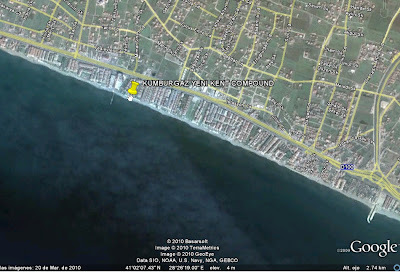 Yalcin worked the night shift near the Yeni Kent facility located onthe shore of Kumburgaz which gave him a good vantage point. 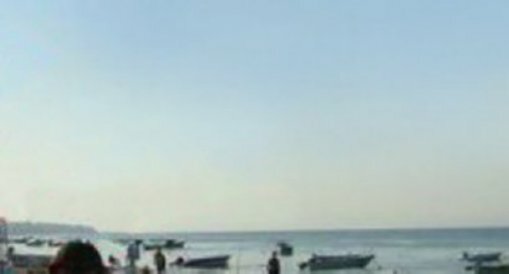 But, when the sightings started to take place it began catching the interest of the local residents and more people began to take notice. 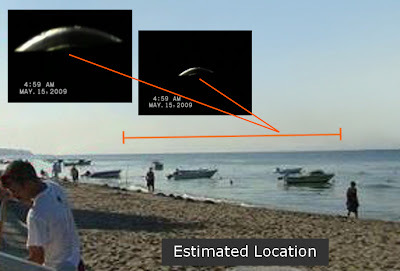 Similar to 2007 the 2008 sightings were discussed in the Turkish national media, even on CNN , while soon gaining interest from the local Turkish scientific and astronomy community who ended up analyzing the footage. There were different individual segments over a three year period. Posted below are the most significant ones in a condensed format, however a link is provided for the longer full length original for each year. 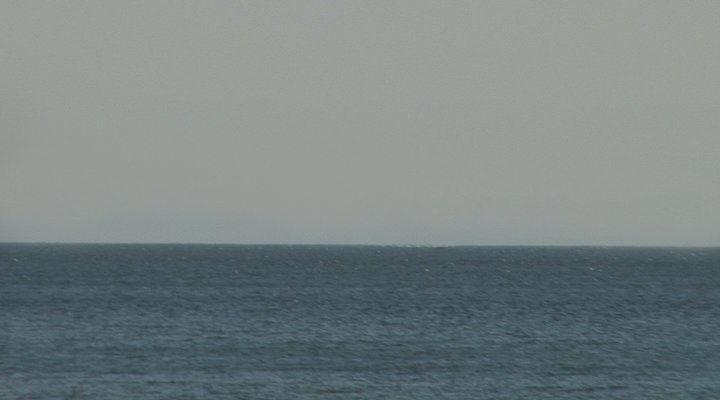 The next day a glowing ball of orange/red plasma type light is motionless in the sky for several minutes leaving a bright reflection on the water surface. 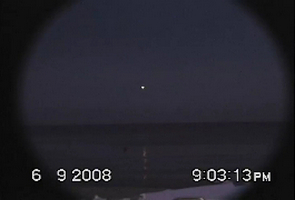 Only four days later another orange ball of light is observed at first. 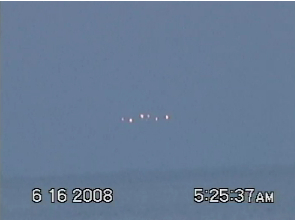 Shortly thereafter the craft pictured below is filmed. 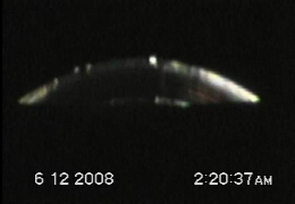 There appears to be possible horizontal movement causing a light and shadow shift across the structure. 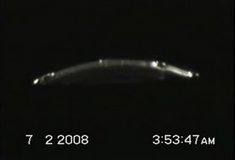 As seen in the raw footage this elongated anomaly is motionless above the water's surface. 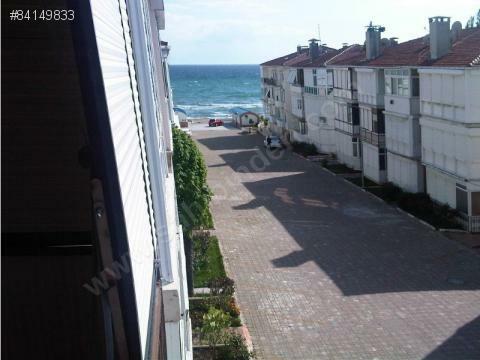 Yalcin managed to zoom in and out several times which provided more information. 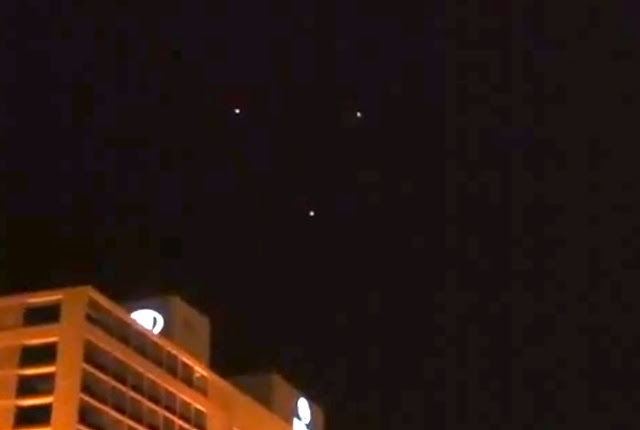 In the same location, one hour and fifteen minutes later, this unusual cluster of lights appeared. Earlier That Morning At 3:53 am. 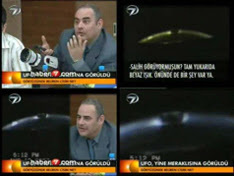 At first, the videos were analyzed under the direction of Turkish researcher Haktan Akdogan the director of SIRIUS UFO and Space Science Research Center. 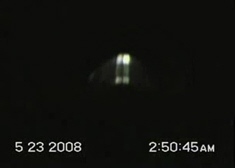 Haktan first spoke with all the witnesses separately and then did analysis of the videos. With participation of the members of their science board they enlarged the images and did the detailed analysis, checked the pixels, and went through frame by frame. 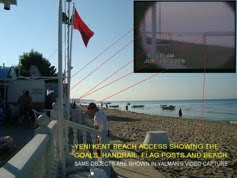 Turkish researcher Haktan Akdogan and the cameraman Yalcin Yalman discuss several issues in more detail. 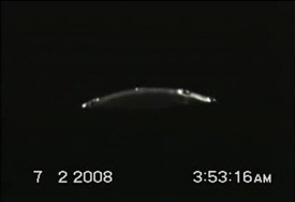 In this video they answered several questions about the case. 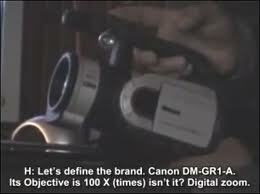 The footage was taken with a MiniDV Canon DM-GR1-A based on the NTSC system with a diaphragm set at the maximum of 1.8. It's a 3CCD 20x optic 100x with a tele-converter mounted on a 58mm adapter. The tele-objective is a Sony brand vci hgd 1758 model lens, x 1.7. 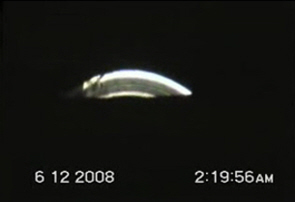 During the 2009 International UFO Congress held in Istanbul, the following sighting occurred. 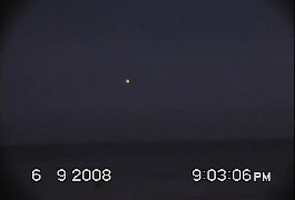 A crowd of onlookers watched a glowing ball of light maneuver near cloud level. 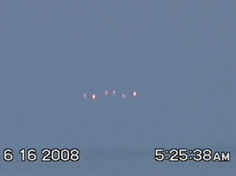 It was that night and into the morning of May 15, 2009 when more unknown objects continued being seen and filmed over Marmara. 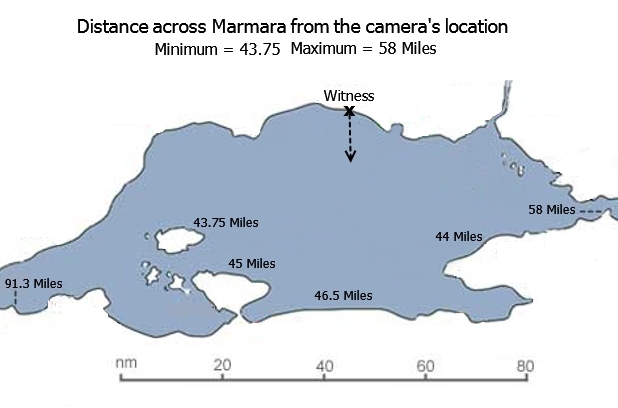 The distance across the sea from the witness location is 44 to 91 nautical miles. 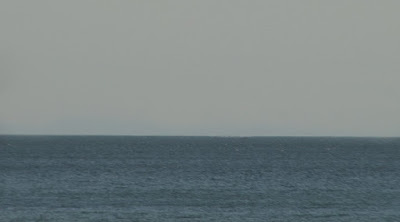 A photograph from the same location displays how land structures on the opposite side of Marmara are not clearly visible when viewed from Kumburgaz. 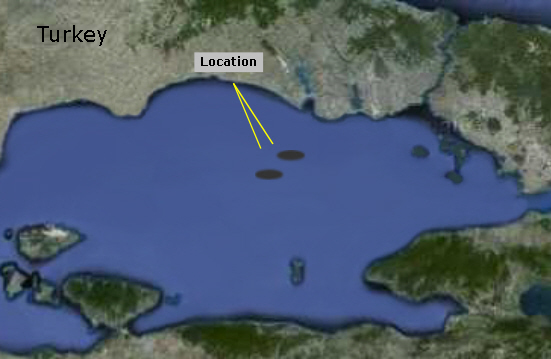 The approximate location of the July 2, 2008 unknown orange light anomaly. 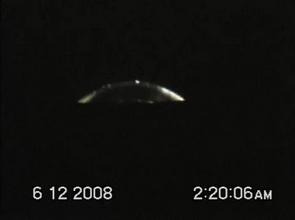 New evidence suggests the Turkey UFO wasn't a cruise ship. 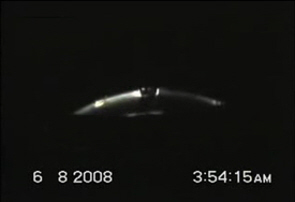 The 2007 video was filmed starting on June 20 and lasted several days until August 31. 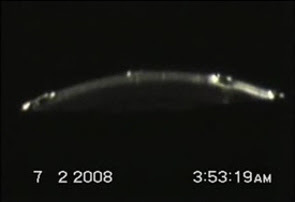 During that time more round, disc, and oval shaped craft were seen and filmed maneuvering over the sea while occasionally changing direction. The same thing happened again in 2008 and 2009. 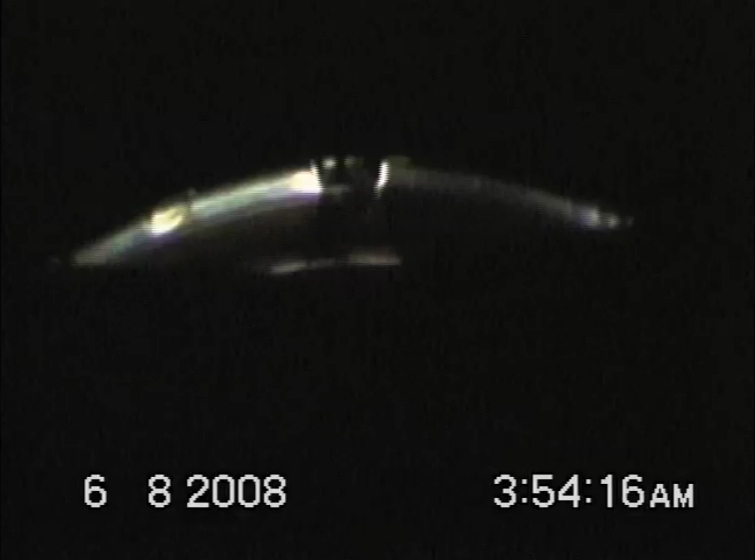 To this date the objects in the footage have also remain unidentified while nobody has yet been able to find an explanation. 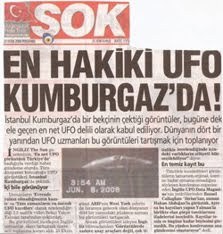 At first the scientists in Turkey were highly certain that it was a hoax. At that point Haktan Akdogan, who had already analyzed the videos frame by frame and confirmed their authenticity, challenged TUBITAK representatives on television to check themselves. When they were finished they released their report in a two page document which is translated into English below. 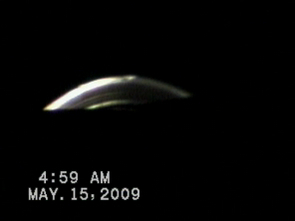 On January 31, 2008, a MiniDV format video cassette holding 35 minutes of footage was brought over to "TUBITAK" The Science and Technology Research Board of Turkey (a Scientific Institution owned by the state that is highly reliable and influential) the National Observatory (TUG) by Mr.Tolga Ozdeniz, the Editor of "Reporter" that has been aired on ATV Channel. The footage on the cassette was said to have been recorded by a Canon GL1 MiniDV digital camera on a beach of a holiday village in Kumburgaz/Istanbul by an amateur. 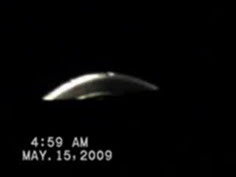 The 5-15-09 video begins while its dark outside at 4:59 a.m. then continues to film until after sunrise at 5:32 a.m. With the camera facing the same direction we finally see the horizon and more details on it's location. 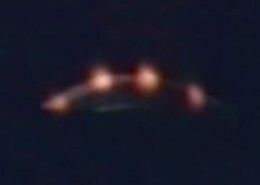 For an unknown reason what previously appeared as a metallic oval craft is now 4 orange lights in a semi circle. 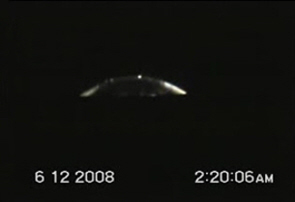 One speculation is that it's a plasma effect caused by the craft changing configuration or a reaction to the sun and different environment. When combining the shape of both the day and night objects. the similarities are interesting. It may be a possibility that it's one craft and not two objects. There has yet to be any further explanation. 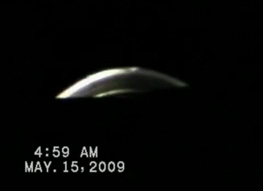 5-15-09 4:59 a.m. to 5:32 a.m. 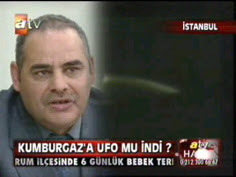 While he was visiting Istanbul for the 3rd International UFO Congress in May of 2009 is when he completed this interview near the location that he witnessed the phenomenon. Yalcin Yalman discusses how he first became involved and why he purchased the camera. 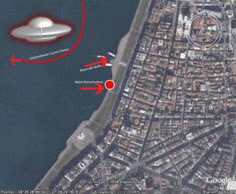 One of the interesting parts of this interview is when Yalcin revealed that he once had another sighting with his father when three unknown objects hovered above them, while fishing as a child. He recalled that earlier in 2007 there was another large sighting in Kumburgaz, but at the time he had not yet purchased a camera. 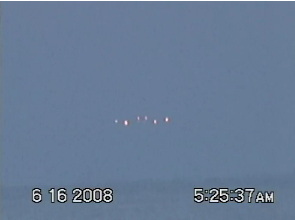 Several instances involved unusual balls of light that appeared at the same time. 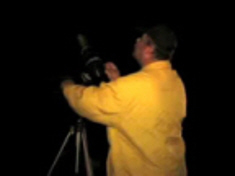 Checking Moon Phases - Do They Match?